Seaport Spotlight: Go Vegan This Week! 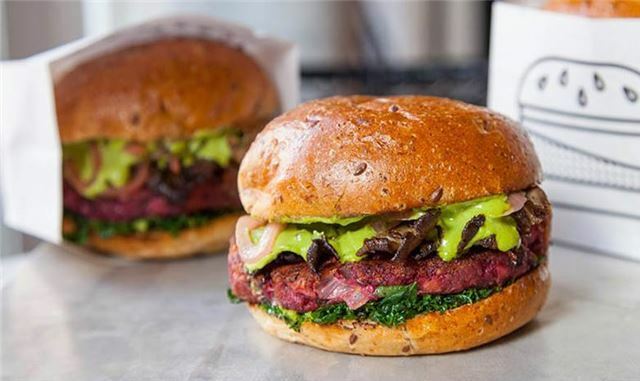 Uber-trendy NYC vegan eatery By Chloe opens its doors this week down the street from Seaport, and we couldn’t be happier to go green! By Chloe is the brainchild of Chef Chloe Coscarelli, who won Food Network’s Cupcake Wars with the show’s first vegan cupcake recipe. The chain’s first Massachusetts restaurant arrives February 23 and comes fully loaded with fan favorites like a whiskey barbeque sandwich (made with portobello and seitan), black bean guac burger, seasonal Boston-centric dishes, and—yes—cupcakes. By Chloe co-founder Samantha Wasser told Boston magazine, “We wanted to create something people aren’t intimidated by … to introduce people to cuisine they’re not familiar with [vegan], without scaring them off.” This carnivorous writer visited the By Chloe in New York’s West Village on a recent trip, and I can assure you: vegan has never tasted so hearty and good! 107 Seaport Blvd., Boston, eatbychloe.com. Opens Thursday, February 23. Photo courtesy of By Chloe.